This season we have the opportunity of honouring three overage players. Today, we honour defenceman, Cole Cameron. Cole has only been a member of our team since December, but he has been a leader throughout his time here. We are so grateful to have Cole as a member of our team and are ecstatic he gets to finish his career here on East Ave. He will truly be missed. 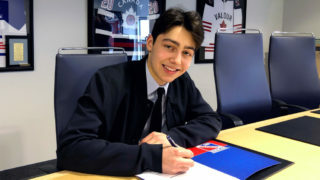 Cole Cameron has only been in Kitchener for four months, but you would never know it. 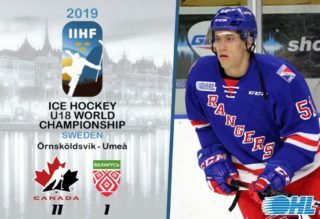 He signed as a free agent in Owen Sound in 2016 and played the 2016-17 and 2017-18 campaigns there and the beginning part of this season in North Bay. Upon his arrival in KW, it was apparent he would fit in well here. As a member of our leadership core here, Cole has brought a lot of his experience to this team. Looking back on his career, he chalks that up to the knowledge he has gained over the years. Being undrafted, Cole knew he was going to have to work extra hard to earn his spot. All his successes didn’t come without a lot of hard work and persistence. If he could give young players any advice, it would be to play and act like someone is always watching. 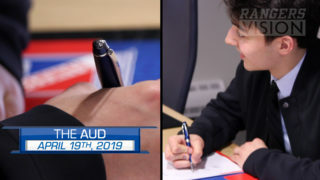 Looking back on his career, he has many moments he will never forget, but he hopes the biggest memories are yet to come. Since moving to KW, Cole has been on many community appearances and has been able to get to know Rangers Nation. If Cole knows one thing, it’s that his future will consist of hockey and a whole lot of tractors. 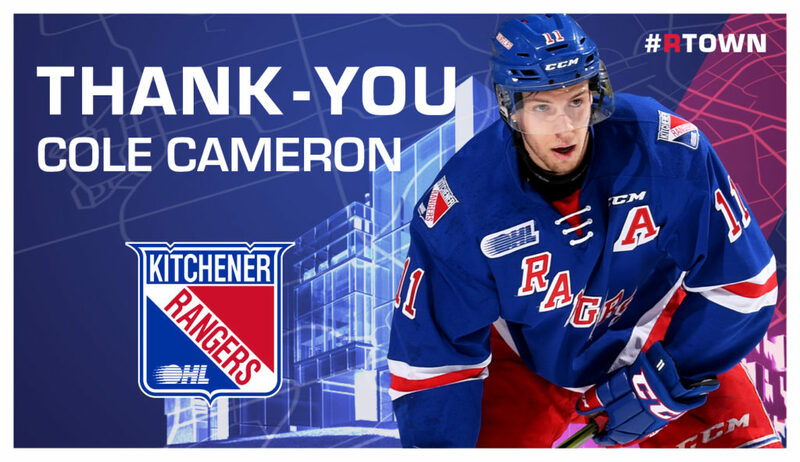 The Kitchener Rangers would like to share our appreciation to Cole Cameron and all of our overage players including Kyle Gentles and Connor Hall. Earlier this week, we shared a story acknowledging Kyle Gentles and will be sharing Connor Hall’s early next week. 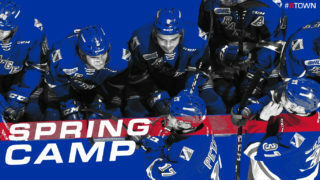 We wish them the best and thank them for being a part of Rangers Nation.